HANOI (15 Nov 2018) – While Malaysia might be content with just the one point on the road tomorrow night, Vietnam captain Nguyen Van Quyet said that his team will not leave anything to chance. Favourites Vietnam will play Malaysia in the crucial match of Group A of the AFF Suzuki Cup tomorrow at the My Dinh National Stadium with the winner likely to also win the group. But Vietnam after a fine 3-0 start to their campaign against Laos on AFF Suzuki Cup 2018 opening day, will not take anything for granted where they will be all out for the full points. 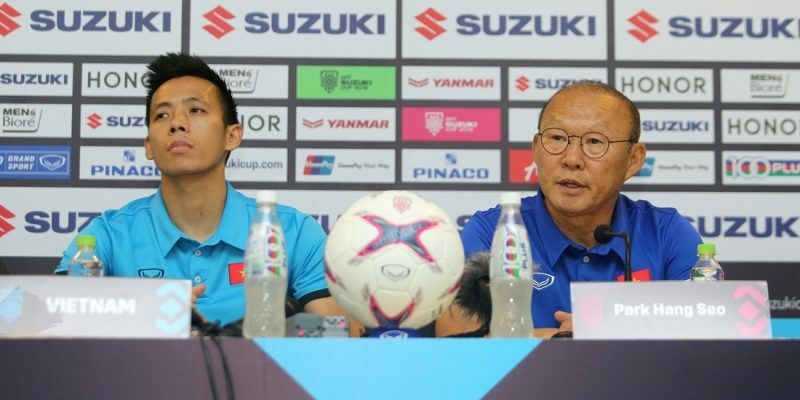 “I appreciate the respect which the Malaysian team has shown us but I believe that we will not be happy with just the one point,” said Van Quyet. “We have 90 minutes to fight for the Vietnam people and no matter how the opponents play, we will play our usual game. In the meantime, Vietnam head coach Park Hang-seo did not buy into Malaysia’s intention to play for just a draw. He said the results between Vietnam and Malaysia had always been very close over the years and that will make the match very tricky. “The results between Vietnam and Malaysia have been very close, so it is difficult to predict what will be the outcome,” added Hang-seo. “I think that they will come here for a win if they can. So I don’t think that they are here for just a draw.